The Mission has two sub missions such as National Rural Health Mission and National Urban Health Mission. NRHM aims to provide Reproductive, Maternal, Newborn, Child and Health and Adolescent(RMNCH+A) services to the rural deprived people through its network of ASHA, ANMsand AWWs. It focus on providing fully functional, community owned and decentralised health delivery system in rural areas. NRHM, also called NRHM-RCH Flexipool is one of the components of NHM and is for alltowns and villages below the population of 50,000. 5. Mainstreaming AYUSH – revitalizing local health traditions. Accredited Social Health Activist (ASHA) is a trained female community health activist who acts as a interface between the community and the public health system. ASHA must be women resident of the village who is literate with formal education upto class eight and preferably in the age group of 25-45 years. Auxiliary Nurse Midwife (ANM) is a resource person for ASHA and provides on-job training and guidance and ensures that ASHA gets the compensation for performance. Anganwadi Worker (AWW) guides ASHA in performing activities such as organising Health Day at Anganwadi Centre and AWW is a depot holder for drug kits and will be issuing into ASHA. The objective of the JSY is to reduce maternal and infant mortality by promoting institutional delivery among pregnant women by providing conditional cash assistance of Rs.1400. There is no bar on age of mother, number of children or type of institution i.e a governmentor accredited private health facility. Financial assistance under JSY is available to all pregnant women in states that have low institutional delivery rates, namely, UP, Uttarakhand, Bihar, Jharkhand,MP, Chhattisgarh, Assam, Rajasthan, Odisha, and J&K. They are categorized as Low Performing States (LPS). In High Performing States (HPS), where the levels of institutional delivery are satisfactory,pregnant women from BPL/SC/ST households only are entitled for JSY benefit. The scheme also provides performance based incentives to ASHAs. The scheme entitles all pregnant women delivering in public health institutions to an absolutely free and no expense delivery including C- section. All expenses are borne by the government. A pregnant woman is also entitled to free transport from home to the government health facility. Entitlements include free drugs and consumables, free diagnostic, free blood, free diet up to 3 days for normal delivery and 7 days for C-section. Similar entitlements have been put in place for all sick newborns accessing public health institutions for healthcare till 30 days after birth. It also provides for free transport from home to institution, between facilities in case of are ferral and drop back home. This initiative will also help in reducing maternal and infant mortality and morbidity. RBSY envisages Child Health Screening and Early Intervention Services and subsumesthe existing school health programme. The scheme aims at early identification and early intervention for children from birth to 18 years to cover 4 ‘D’s viz. Defects at birth, Deficiencies, Diseases, Development delays including disability. The 0 – 6 years age group will be specifically managed at District Early Intervention Center (DEIC) level while for 6 -18 years age group, managed at existing public health facilities. DEIC will act as referral linkages for both the age groups. It is a health programme for adolescents, which focuses on age groups 10-19 yearswith universal coverage. Key Principles are adolescent participation and leadership, Equity and inclusion, Gender Equity and strategic partnerships with other sectors and stakeholders. Improve nutrition – Reduce the prevalence of malnutrition and iron-deficiencyanaemia (IDA) among adolescent girls and boys. Address Non-Communicable diseases such as hypertension, stroke, cardio-vascular diseases and diabetes. Thus it envisions enabling all adolescents in India to realize their full potential by making in formed and responsible decisions related to their health and well-being and by accessing the services. To meet health care needs of the urban population with the focus on urban poor, slum dwellers, by making available to them essential primary health care services and Reducing their out of pocket expenses for treatment. It seeks to strengthen the existing health care service delivery system converging with various schemes implemented by the Ministries of Urban Development, Housing & Urban Poverty Alleviation, Human Resource Development and Women & Child Development. It works in partnership with community and local bodies and NGOs and District health action plan is prepared. NUHM would cover all State capitals, district headquarters and cities/towns with a population of more than 50000. Centre-state funding pattern will be 75:25 for all the states and 90:10 for Special Category States. Tertiary healthcare services and also to augment facilities for quality medical education in the country. It is a centrally sponsored health insurance scheme designed to target Below Poverty Line(BPL) households and unorganized workers like covering construction workers, street vendors etc. The premium cost is shared by Centre and the State. The beneficiaries are entitled to hospitalization coverage up to Rs. 30,000/- per annumon family floater basis i.e can be utilised by any family member. The coverage extends to maximum five members of the family which includes the head of house hold, spouse and up to three dependents including the provision to pay transport expense. The beneficiaries need to pay only Rs.30 as registration fee for a year. Beneficiaries get a biometric-enabled smart card containing their fingerprints and photographs and this Single central smart card also to include other welfare schemes like Aam Aadmi Bima Yojana and national old age pension scheme. Earlier the scheme was under the Ministry of Labour and Employment. It aims to provide financial assistance to BPL patients, who are suffering from major life threatening diseases, to receive medical treatment at any of the 13 listed super specialty institutes or government hospitals. The central government/state government/PSU employees are not eligible. The financial assistance to such patients is provided in the form of ‘one-time grant’, which is released to the Medical Superintendent of the Hospital in which the treatment has is being received. 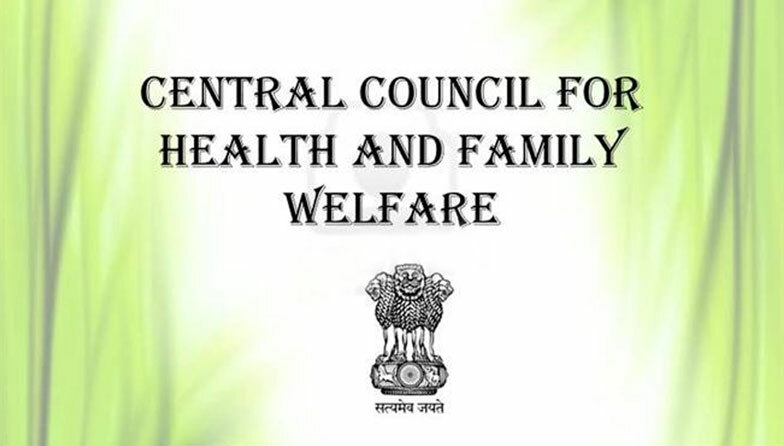 The States are needed to create their own State Illness Assistance funds in which central government contribute 50% of the fund and the fund is granted to Medical super in tendent for treatment. The State government can grant up to Rs. 1.5 lakh in each individual case in their state and forward the cases that exceed Rs.1.5 lakh to RAN headquarters. A “Revolving Fund” which has been set up in 12 Central Government hospitals/institutes. These hospitals can sanction financial assistance up to Rs.5 lakh, but beyond Rs.5 lakhit has to be referred to RAN headquarters. The mission aims to cover all those children by 2020 who are either unvaccinated, or are partially vaccinated against seven vaccine preventable diseases. It includes diphtheria, whooping cough, tetanus, polio, tuberculosis, measles and hepatitis B. It aims to fully immunize children under the age of two years and pregnant women with all available vaccines. The Mission is being implemented in 201 high focus districts in the country in the first phase which has nearly 50% of all unvaccinated or partially vaccinated children. The campaign is part of the Universal Immunisation Programme by 2020. The Ministry will be technically supported by WHO, UNICEF, Rotary International and other donor partners. It will be implemented initially in 145 districts where Total Fertility Rate is highest. These 145 districts are in the states of Uttar Pradesh, Bihar, Rajasthan, Madhya Pradesh,Chhattisgarh, Jharkhand and Assam. The project is to tackle the increasing HIV prevalence in the North-Eastern states. It aims to diagnose 90 per cent of such drug addicts with HIV and put them under treatment by 2020. It will cover one lakh people living with HIV/AIDS by giving them treatment and care facilities free of cost. It will be implemented in addition to the existing projects of the National AIDS Control Organization (NACO). The project has been sponsored by US based Centre for Disease Control and would be implemented by Family Health International 360. According to WHO, India has the highest burden of Soil-Transmitted Helminths (STH)in the world. The mission is aimed to protect children in the ages of 1-19 years from intestinal wormsi.eHelminths. Albendazole tablets will be given to all targeted children through Anganwadi centres and all schools. National Deworming day is observed on 10th February. Under the scheme, the pregnant ladies who are in 2nd/3rd trimesters will be given free health check-up and required treatment for free on every month. The health check-up includes a minimum package of prenatal care/antenatal care services i.e care given during pregnancy and medicines such as IFA supplements, calcium supplements etc would be provided to all pregnant women. The service will be completely free at designated government health facilities. The programme follows a systematic approach for engagement with private sector. Thus it aims to improve the quality and coverage of Antenatal Care (ANC) including diagnostics and counselling services as part of the Reproductive Maternal Neonatal Child and Adolescent Health (RMNCH+A) Strategy. National Health Protection Scheme is an insurance policy under which poor people can get life insurance coverage up to One lakh. The main aim of the scheme is to provide financial assistance to those families who have lost their earning member in any accidents or natural calamities. Also the insurance scheme aims to protect the person from health diseases and other long term health issues due to any accidents. Beneficiaries are people below poverty line, economically weaker section and people who are listed under the deprivations according to socio-economic caste census of India. For Senior citizens of the age 60 years and above belonging to above mentioned category,an additional top-up package up to Rs.30,000 will be provided. The UIP basket has vaccines for ten diseases i.e BCG for TB, OPV for poliomyelitis,monovalent measles vaccine for measles, Rota Virus vaccine for Diarrhoea, JEV for Japanese Encephalitis & Pentavalent Vaccine for DPT (diphtheria, pertussis i.e whoopingcough & tetanus) and Hepatitis B & Pneumonia due to Hib. Measles-rubella vaccine (MR) is added now to the UIP. India has set a target of eliminating measles and controlling congenital rubella syndrome (CRS), caused by the rubella virus, by 2020. Under its Rashtriya Kishor Swasthya Karyakram, Union health ministry has launched Saathiya resource kit that is specially designed by experts to help peer educators, especially in villages, discuss sensitive issues and answer teenage queries in their community in an informed manner. The ‘Saathiya Resource Kits’ is a nationwide programme under which 1.6 lakh boys and girls will work as peer educators to adolescents and respond to their queries on key health issues including mental and physical changes, nutrition and addiction. The Resource Kit has been developed by United Nations Population Fund (UNFPA) and Population Foundation of India (PFI). The initiative also aims to bring down the apprehensions and doubts among growing adolescents about the body related changes that they undergo during puberty. The resource kit comprises of an Activity Book, Bhranti-Kranti Game, a Question-Answer Book and a Peer Educator Diary. The Peer Educators will be trained across the country in a phased manner and the Peer Educator to be recognized and respected as ‘saathiya’, a good friend for the adolescents.